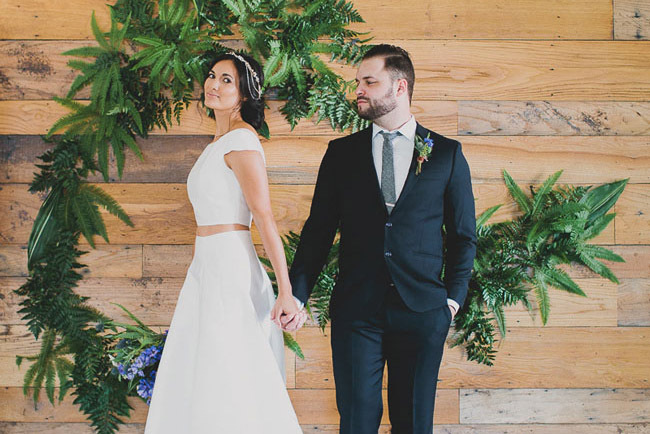 THIS is the wedding inspiration for you! 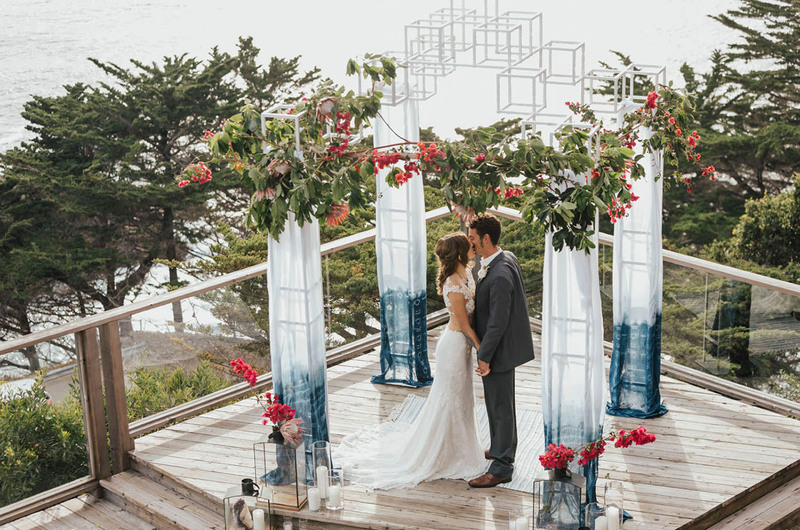 Carol at Carol Oliva Photography imagined this adventurous couple and glammed up a gem of a vision for their union overlooking — where else? 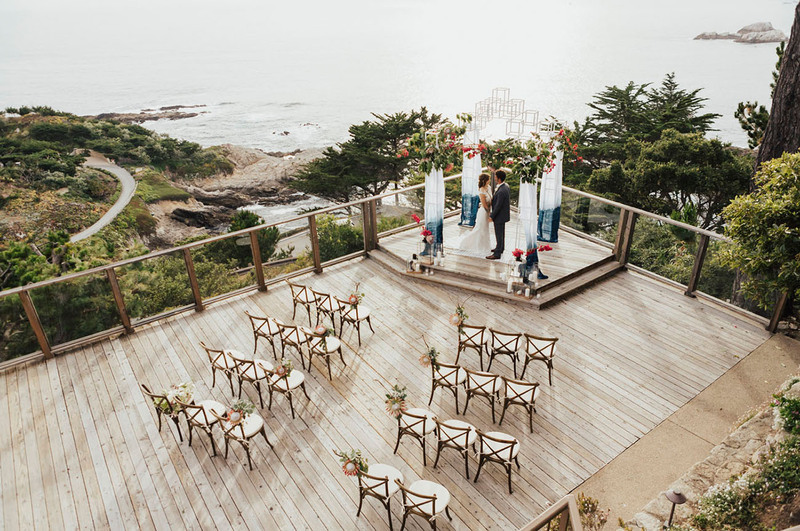 — Big Sur. 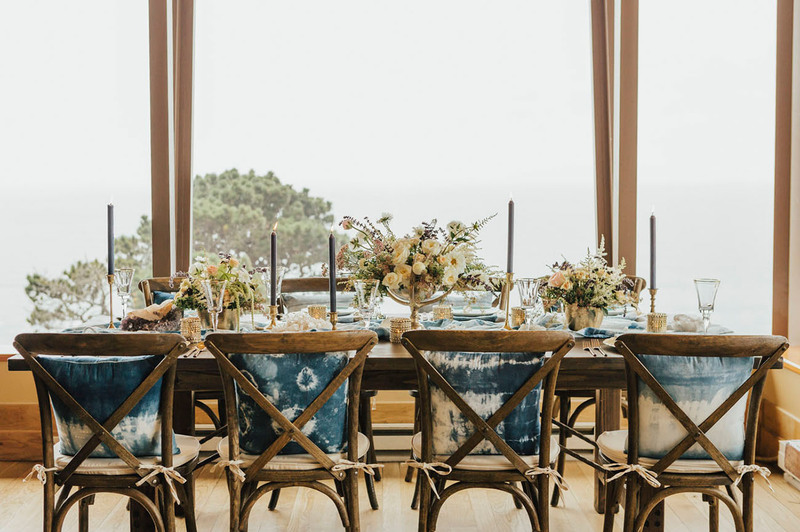 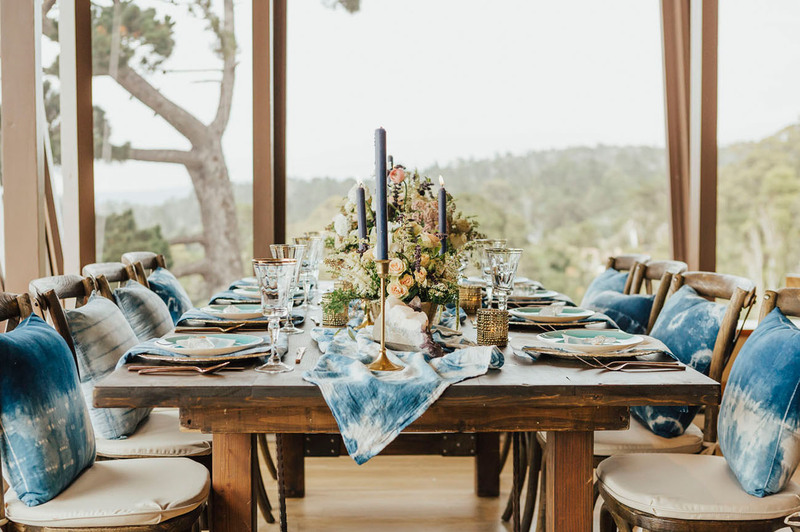 Willow and Plum stepped in for the day’s design and florals (indigo and giant king proteas set the standard) and the Hyatt Carmel Highlands provided the dreamy views, high above the Pacific Ocean. 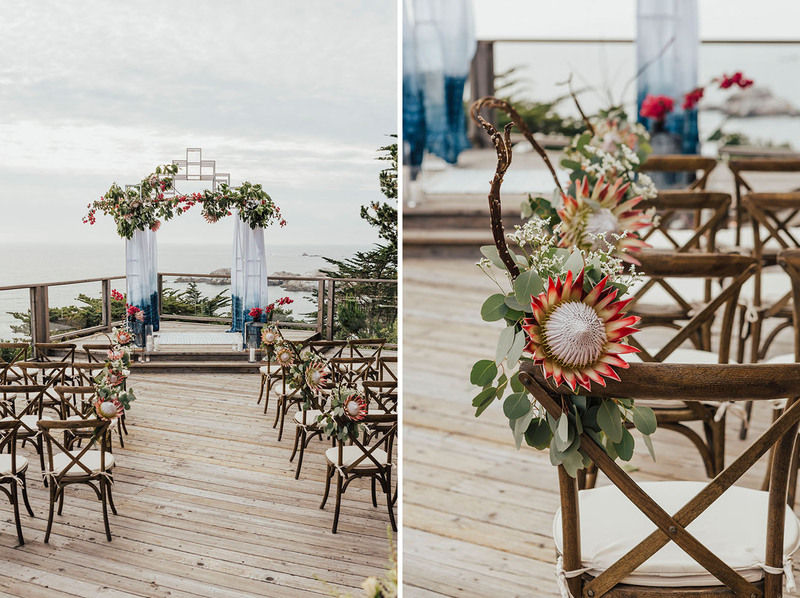 We love a good king protea in a bouquet but this may be our new fav! 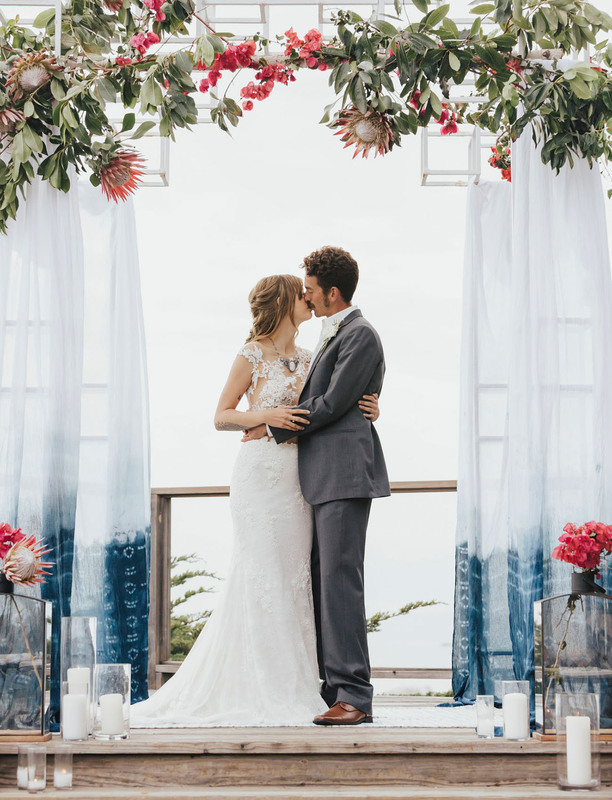 Willow and Plum lined the aisle and backdrop with these punchy blooms, filling in with eucalyptus and bougainvillea. 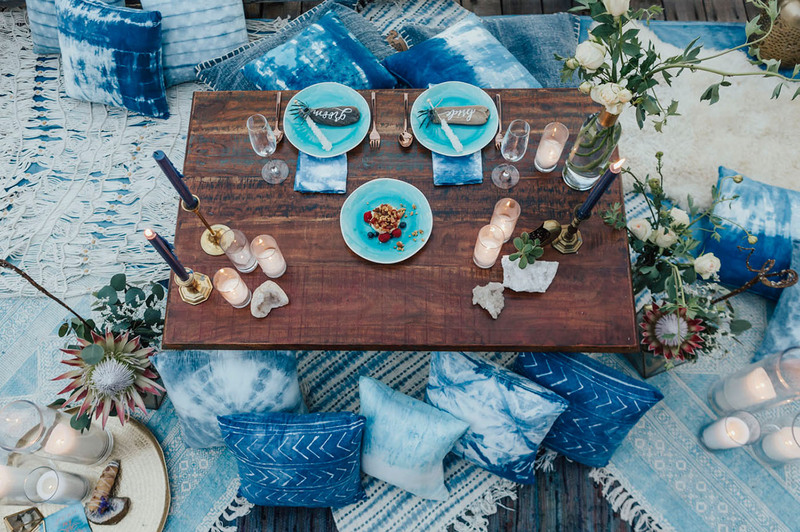 Love the dip-dye shibori pillars! 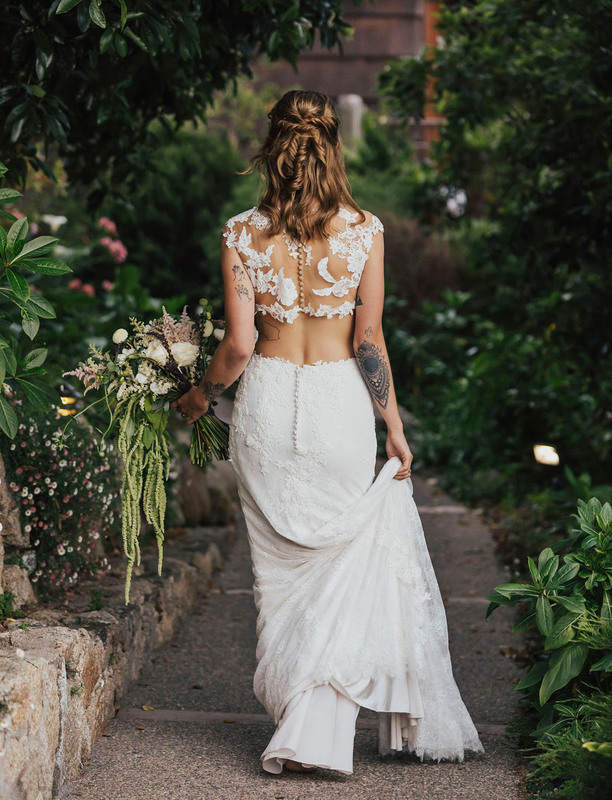 The bride wore a custom lace top from Epiphany Boutique, combined with a Lillian West skirt and Erica Freestone crystal necklace. 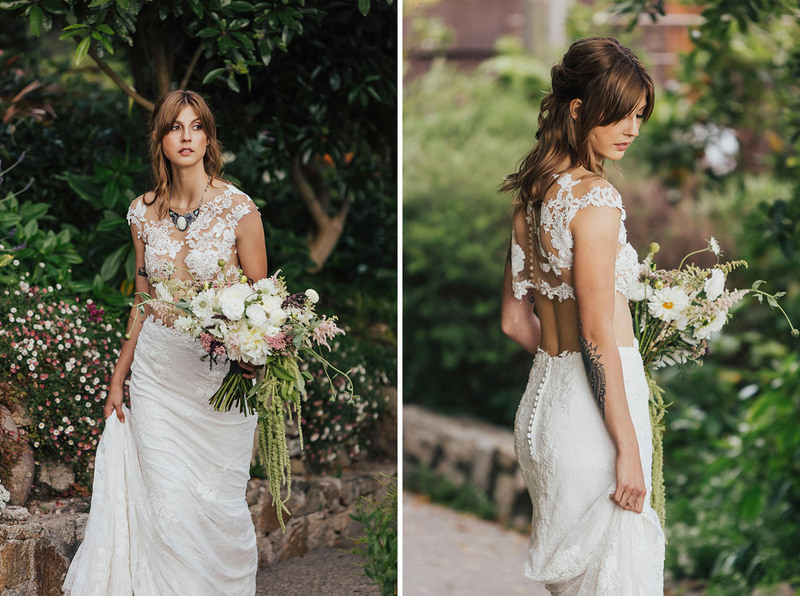 You guys — this fish tail braid is so good! 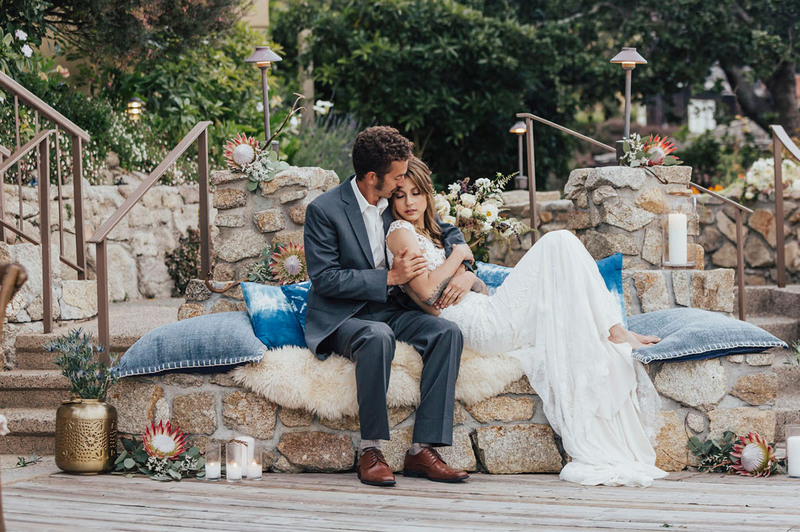 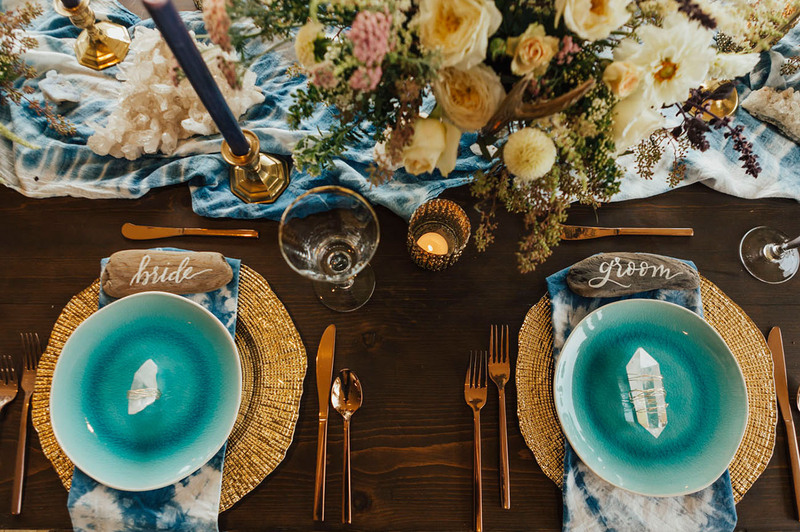 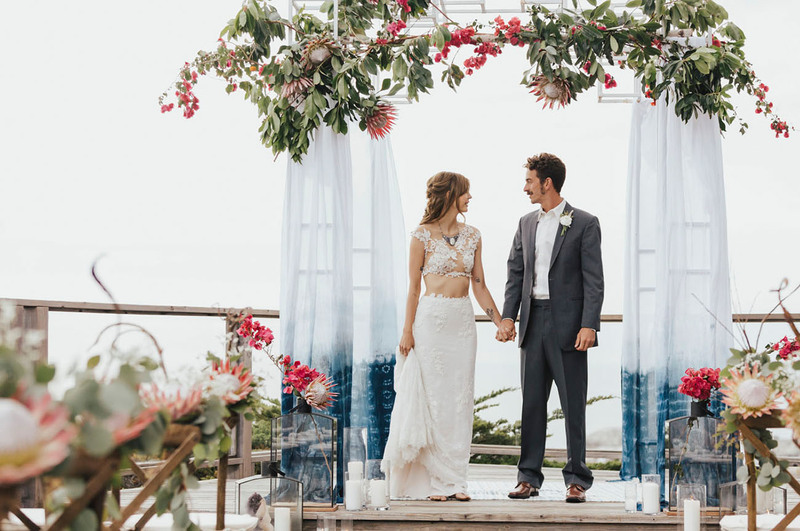 Blush Monterey gave the boho bride an upscale twist on the classic look. 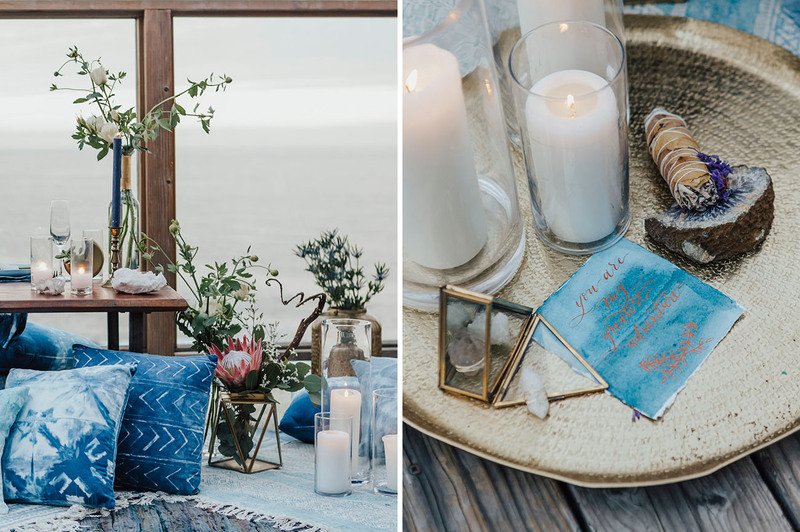 The indigo + turquoise hues are a call to the sea and the raw crystals, the magical landscape. 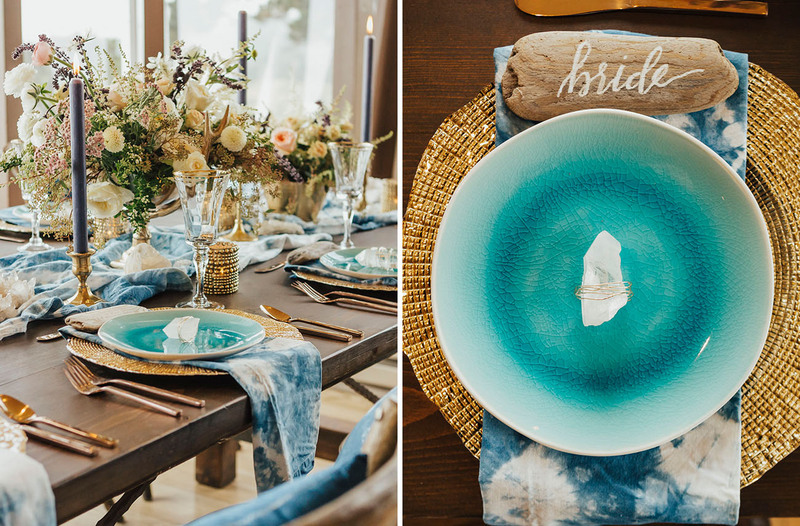 Chic Events provided the rustic furniture rentals for the cozy reception table. 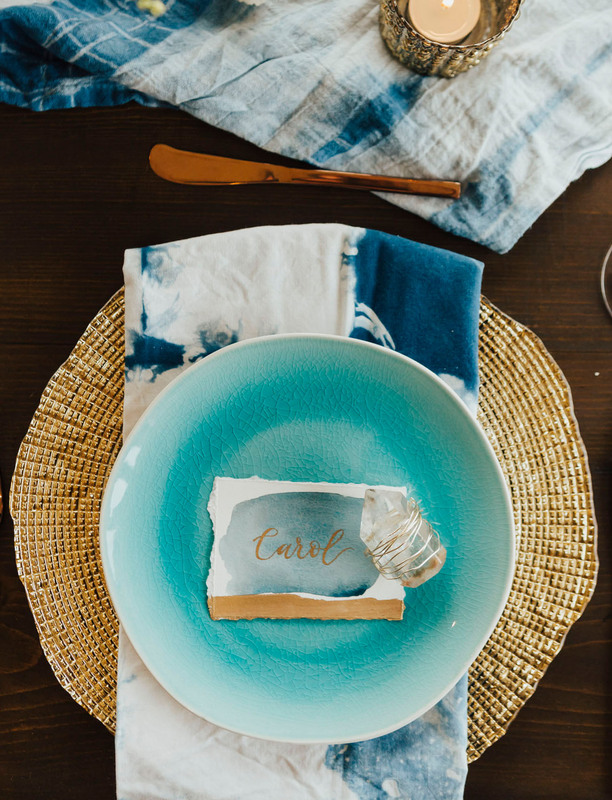 Love the driftwood place card for the bride + groom! 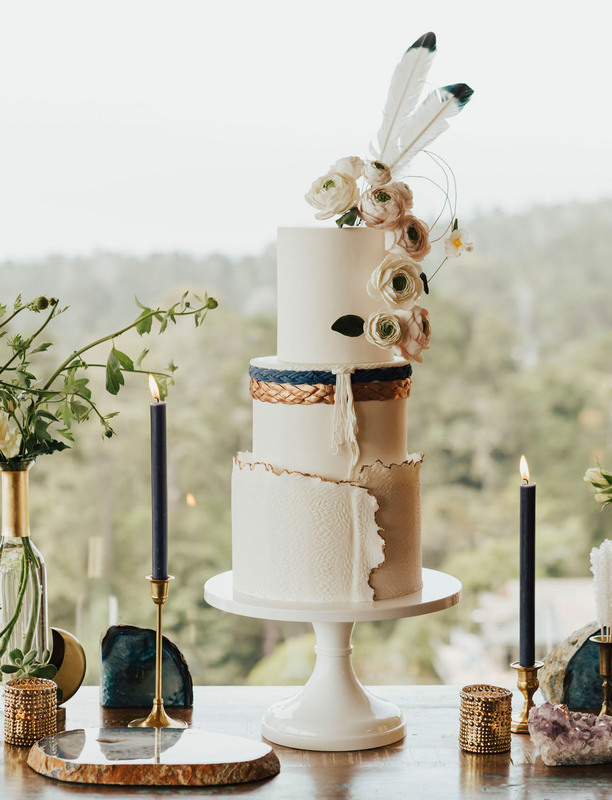 Bay Cakes Design created this unique masterpiece of a cake with gilded gold detailing! 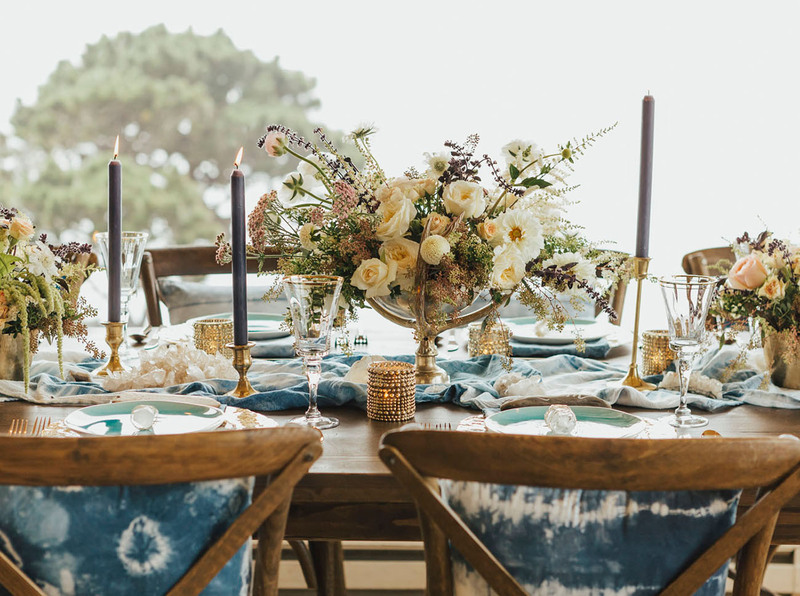 What’s a boho wedding without a boho lounge? 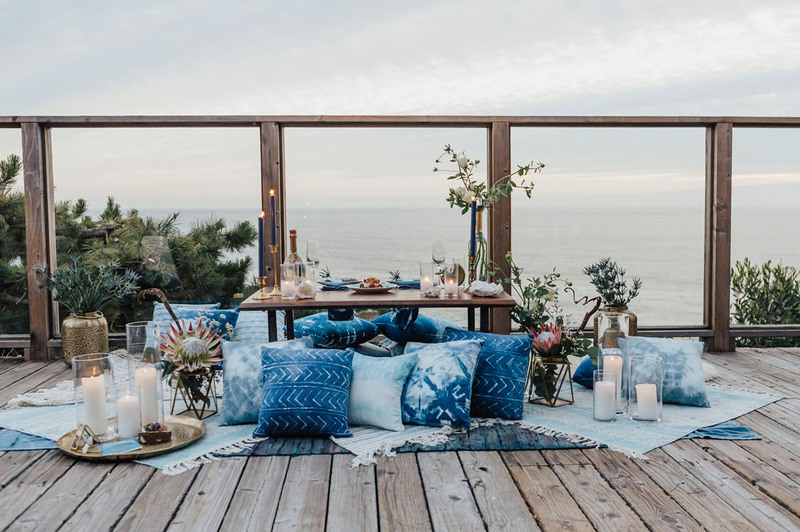 Mountains To the Sea Co & Styling left no indigo behind with this dream situation overlooking the sea! 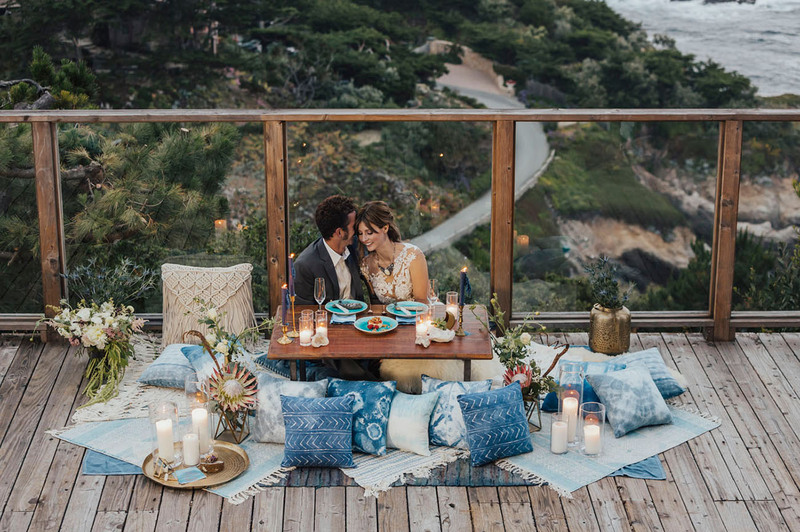 Such a dreamy day for an adventurous couple! 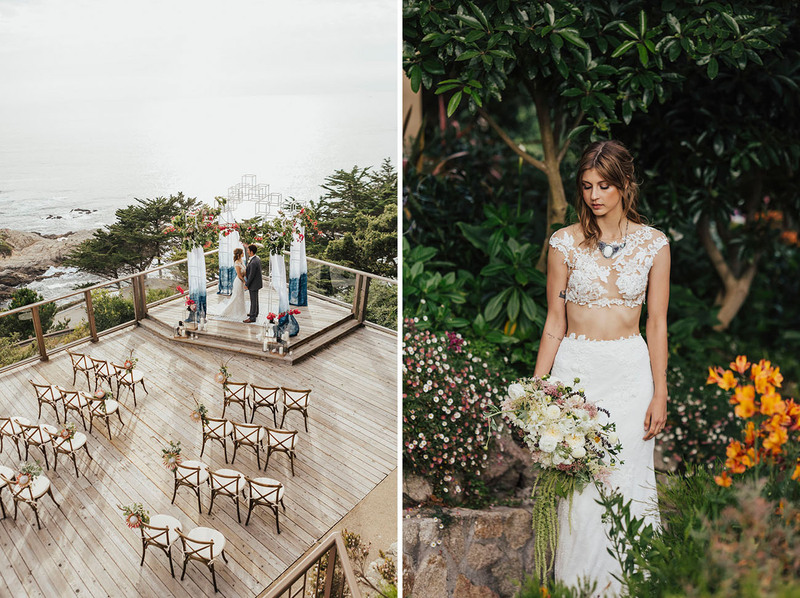 Thanks to the talented team for sharing with us!